The long-standing problem of Western Sahara seems to reach its end as the new Special Envoy of the UNSG, H.E. Hurst Kohler, the Germany's former president, was able to get back on track the negotiations on self-determination of the people of Western Sahara after six years of breakdown. Under his auspices, on 5 and 6 of December last year in Geneva, a roundtable held between both parties of the conflict, the Polisario Front and the kingdom of Morocco, besides to Algeria and Mauritania as observers. Kohler said after the roundtable that "From our discussions, it is clear to me that nobody wins from maintaining the status quo." The two parties were optimistic about the results of the roundtable, therefore, they agreed to meet again in the first quarter of this year. Kohler's success is due to the new tendency of the UNSC which has started since April 2018, when the U.S.A reduced the mandate of MINURSO (the UN Mission for the Referendum in Western Sahara) from one year to six months. The UNSC engagement reflected awareness and new spirit in dealing with the question of Western Sahara. Therefore, in its recent resolution 2440 of 31 October 2018, the Council called upon the parties to demonstrate political will and engage constructively in talks without preconditions in order to advance the negotiations, emphasizing the importance of an enduring political solution based on compromise and the need to provide for the self-determination of the people of Western Sahara in a manner consistent with the Charter of the United Nations. The decolonization process of Western Sahara was subjected to a plot in 1975 aiming to deprive its People of its right to self-determination, when Spain evaded its responsibility as administrating power by withdrawing from territory after almost a century of colonization and allowing Morocco and Mauritania to invade it in violation of the UN Charter and resolutions. In consequence of the departure of Spain, the Polisario front (Frente Popular para la Liberation de Saguia el Hamra y Rio de Oro), the legitimate representative of the people of Western Sahara, proclaimed the Saharawi Arab Democratic Republic. Western Sahara is a non-self-Governing territory on the UN agenda since 1963 following the transmission of information by Spain under Article 73 e of the Charter of the United Nations (A/5514, annex III). In its resolution 2229 (XXI) 1966, the U.N. General Assembly reaffirmed the right to self-determination of the people of Western Sahara and requested Spain to establish immediate procedures "for the holding of a referendum under United Nations auspices with a view to enabling the indigenous population of the Territory to exercise freely its right to self-determination." The Advisory Opinion of the International Court of Justice (ICJ) of 1975 left no doubt when dismissed the Moroccan and Mauritania claims over the territories and called for the application of the General Assembly's resolution 1514 (XV) of 1960 in the decolonization of Western Sahara through a free and genuine expression of the will of the people of the territory. The ICJ ruling was reinforced by the Advisory Opinion of Under-Secretary General for Legal Affairs of 2002, on request by the UNSC, which concluded the illegal exploration and exploitation of the natural resources of the territory without the consent of its people. The European Court of Justice from its side said that" no sovereignty of Morocco over Western Sahara" in its rulings of December 2016, February and July 2018 to unmask the explicit implication of members states of the EU in plundering the natural resources of the territory. The Polisario front, which was founded in May 1973, was recognized by the UNGA Resolution 34/37 0f 1979 as the legitimate representative of the people of Western Sahara. It has been leading the negotiation process, fighting for the inalienable right of self-determination and independence, with Spain to reach a truce pending the organization of a referendum, then with Mauritania 1979 to renounce its claim of the territory and recognize the SADR and now with Morocco. In 1991, the UN-OAU (now AU) reached a compromise on settlement plan for a ceasefire between the Polisario front and the Kingdom of Morocco following by a UN-sponsored-referendum of self-determination in 1992, which has not yet taken place. United Nations peacekeepers are on the ground under the mandate of MINURSO. Morocco brought tens of thousands of Moroccan citizens in attempt to manipulate the electorate, but they did not meet the criteria, thus the UN provisional voter list of 2000 would have likely led to independence. When the new King Mohammed VI took over the throne in Morocco, he began to reject any solution that could lead to independence, which put Morocco in controversy with the UN and international law. A minefield-and-barbed-wired defensive wall (berm) of 2700 km-long was built by Morocco to divide the territory of Western Sahara into two parts and to separate families. The majority of the population live in the west part controlled by Morocco, whereas around 200.000 in the eastern part (The liberated territories) or in exile in camps in the south-west of Algeria - both controlled by the Saharawi Republic. Many other Saharawis also lived in diaspora. The part of the population living in the west of the Berm is subjected to repression and daily intimidation. 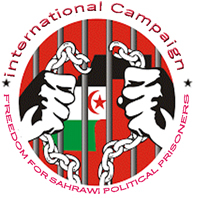 The Moroccan occupant authorities have committed crimes against humanity in Western Sahara; homicide, jail, torture, including genocide. Morocco holds the occupied territories with an iron fist, wherefore it brought hundreds of thousands of police forces to impede the increasing protests calling for self-determination and the departure of Moroccan occupier. In October 2010, Moroccan police forces intervened brutally against a peaceful and civic protest camp of Gdeim Izik set near the capital El Aaiun, where the intervention resulted (in the) death and injuries among the protesters, and 27 members of the movement's leadership were arrested, illegally jailed and sentenced between 20 years to life imprisonment. The Saharawis, who fled from the persecution of the Moroccan military, live in five camps in harsh condition where the temperatures reaching 50 degrees Celsius during the summer months. They fled their homes following the Moroccan invasion of Western Sahara in 1975. They heavily depend on international assistance and their opportunities for economic and employment are limited. The AU has dealt with the question of Western Sahara as a decolonization issue and its resolution comes through the respect of its people's right to self-determination and independence. This position is reflected in the recognition of the Saharawi Arab Democratic Republic as a full member and founder of The Bloc. The Africa Unity admitted the Kingdom of Morocco in January 2017 with condition to sign and respect the Constitutive Act of the Bloc, including accepting the Saharawi republic as a full member and founder. All the AU summits have maintained the African firm collective position toward decolonization of Western Sahara, calling on the two member states, the Sahrawi Republic and the Kingdom of Morocco, to enter in direct and prompt negotiations to resolve their border conflict. Based on this point of view, the AU has set a roadmap for a future solution to this conflict aimed at the withdrawal of the kingdom of Morocco from the part it occupies of the territories of the Saharawi Republic. Africa integration is fundamental for the AU to move forward to a potential bloc, but peace and stability are indispensable to achieve this goal. The 31st Summit of the AU Heads of State and Government of July 2018 set up "an African mechanism including the AU Troika (made up of outgoing, current and incoming Presidents) and the President of the AU Commission to provide an effective support to the UN efforts while encouraging both sides to be more flexible and to mobilize greater support for the efforts made by the UN." Such decision would revitalize the AU's key role, as a fully-committed partner for the United Nations. In its first proclamation on 27 February 1976 after Spain abandoned Western Sahara, the Government of the Saharawi Arab Democratic Republic expressed its "commitment to the principles of the United Nations Charter and the Organization of African Unity, in particular those concerned with human rights, territorial integrity and established frontiers, as a guarantee of African and international peace and security." The Constitution, which was adopted by 14th General Congress of the Polisario Front, declares to adhere to" the principles of justice and democracy contained in the Universal Declaration of Human Rights (of 10 December 1948), the African Charter on Human and Peoples' Rights (of 28 June 1981)." It believes that" human freedom and dignity is possible only in a society that enshrines the rule of law and creates conditions for social growth in accordance with its values." It also determines" to build democratic institutions that guarantee human rights and freedoms, political freedoms, economic and social rights, and family rights." The location of Western Sahara - rich in resources- makes the Saharawi Republic play an important role in geopolitical policy and international relations. The Constitution adheres "to work for the integration of the Maghreb, unity of the Africa and the Arab world and to establish international relations based on cooperation, harmony, mutual respect and peace and the world stability." It recognizes "free market as well as public, private and foreign investment." The Polisario Front's perspective, from the beginning, is offering example in governing and society in exile during the process of decolonization. However, the Saharawi Republic is a model of state that was able to guaranty education, health and the minimum socioeconomic services. Women play major role in the camps, including Member of the leadership, Ministers and Governors. Mr. Kohler, appointed in July 2017 as the UNSG Special Envoy to Western Sahara, was aware that the key of his success in breaking the impasse is to bring the two parties again to the table of negotiations. To achieve this goal, he had to mobilize the international community, however, in his evaluation trips, Kohler had consultations with the Africa Unity and the European Union as well as with the states member of the UNSC. Morocco, which had rejected sitting with the Polisario Front, was forced to attend this round table without conditions. The UNSC's interest in resolving the conflict of Western Sahara comes in fierce competing of the great nations, which is emerging on in the region of North Africa after the USA's dissatisfaction about China and Russia's wide presence in Africa. France, which feels that its influence in Africa is shrinking, does not feel comfortable about the USA actual direct participation in resolving the issue of Western Sahara. However, it has to involve the EU to back Morocco by including Western Sahara in their accords to preserve its interests. The powers States members of the UNSC such as USA, Russia, UK and China, have demonstrated explicit support to accelerate the political solution, emphasizing that it has to "provide the right to self-determination of the people of Western Sahara." France, which defends the Moroccan position, lobbied inside the UNSC and the Secretariat in attempt to maintain one year for MINURSO mandate, but the USA insisted to keep it six months. The USA said that it would cut its fund for MINURSO if there is no progress in the political solution process. The US position was reaffirmed during an event at the Heritage foundation in December last year on Trump Administration's new Africa strategy, by the new National Security Advisor ambassador John Bolton, who expressed "frustration" over the stalemate of the Sahrawi question. It was clear that since his appointment in March 2018 , Bolton has played an important role in getting the two parties to the table. Responding to a question by the Journalist Nicolas Niarchos of the New Yorker in article published on 29 December last year, Bolton said " I think there should be intense pressure on everybody involved to see if they can't work it out." Bolton knows well the obstacles getting in front of the conflict as he worked with Mr. James Baker while he was the UNSG Special Envoy to Western Sahara. He perceives Morocco's tactics when he told the same journalist that " Morocco is in possession of almost all of the Western Sahara, happy to keep it that way and expecting that de facto control will morph into de jure control over time." Bolton reiterated his commitment to the Referendum when he said to the New Yorker journalists that " All we want to do is hold a referendum for seventy thousand voters. It's twenty-seven years later-the status of the territory is still unresolved." The position of the United States towards a just solution to the question of Western Sahara based on self-determination of the people of the territory was explicitly confirmed during a visit to the Saharawi Camps on 24 February of a US Congress delegation of 17 personalities, led by James Inhofe, the Chairman of the US Senate Armed Services Committee, accompanied by Enzi Michael Bradley, the Chairman of the finance committee. In a declaration to the media after receiving by the President of the Saharawi Republic Ibrahim Ghali , the Senator James Inhofe reaffirmed the Trump's commitment to the freedom of the Saharawi people " ... We love this people and we are committed to their freedom ... the President Trump is absolutely committed to the people here and to their freedom ... we believe it will happen ... " He underlined the importance of the March meeting between the Polisario Front and the Kingdom of Morocco "... In March there is an important meeting and we want to be here to give encouragement to those who have been in a dilemma that they have been living under for the last thirty years ... it would be our hope that we have a positive effect on the meeting that will take place in March ..." He assured the Saharawi people of the full support by the members of the delegation to their struggle for freedom "...you have six members who are elected by the American people who are very strongly in your position seeking freedom that you have lost many years ago..."
The region is living a change in the balance of power which is in favor to the international legitimacy represented in self-determination of the people of Western Sahara. Therefore, Kohler has received enough international support to make him launch his plan for a solution and increase the chance of success. In the last month hearing of the UNSC with the Special Envoy, a strong determination by the states members was noted to tackle the difficulties preventing from positive results and creating atmosphere for the next round table, including: confidence-building measures to free the detainees, allow human rights observers to visit the occupied territories and stop the looting of natural resources. After decades of suffering and long deprivation of a people's right to self-determination and independence, a breakthrough was made to find solution to Africa's last colony. Therefore, the new Special Envoy of the UNSG to Western Sahara, H.E. Hurst Kohler, Germany's former president, could bring again the two parties of the conflict, the Polisario Front and the Kingdom of Morocco, to the negotiating table on self-determination of the people of Western Sahara. The Geneva roundtable of 5-6 of December last year marked a good start that would lead to concrete results while the stakeholders have the will to tackle the obstacles impeding the mandate of the UN Mission to Western Sahara. Kohler has been receiving the full support of the UNSC, the AU and the EU, which all have demonstrated their engagement to achieve durable peace and stability for the North-Africa region. The Saharawi Arab Democratic Republic, backed by the AU, has proved its capacity to represent the people's right to self-determination. Thus, any solution which would not take in account this reality will not lead to peace and stability. "We in the United states, many years ago, went through a hardship. It is very similar to what you have gone through for many decades. We love these people and we are committed to their freedom. With me are members of the United States Senate and House of Representatives, and we have now a president, President Trump, who is absolutely committed to the people here and their freedoms. We believe that will happen, not because we back with regularity anyway, but in March there is an important meeting and we want to be here to give encouragements to those who have been in a dilemma that they have been living under for the last thirty years. It is our hope we have a positive effect on the meeting that will take place in March, you have six members who are elected by American people who are very strongly in your position (towards) seeking freedom that you have lost many years ago."